1 Ropemaker Street, originally known as Britannic House, was once the tallest building in London, exceeding the height of St Paul’s by eleven metres. But by the turn of the millennium, the aging skyscraper needed to play catch-up. And that they did. With extra floors added and a full refurbishment, CityPoint as it’s now known is home to some of the biggest names in finance, tech and security. The investment world is really no different. 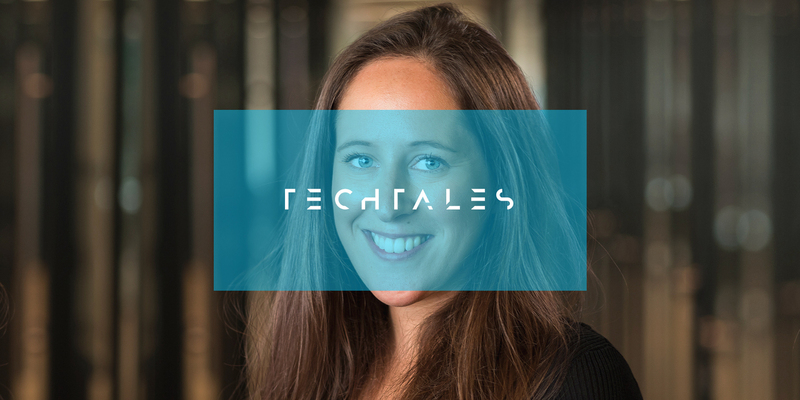 If there’s anything we’ve learned from Tech Tales so far, it’s that the big names in finance are hampered by old architecture in the more technical sense; legacy systems, resource-reliant processes and outdated approaches to money management. Companies like Exo are great example of doing and not just saying, with their AI approach to investment changing the way that not just high net worth individuals can make investments but also folk like you and I.
I met with Melanie Palmer, Exo’s Chief Marketing Officer, on the eleventh floor to talk AI, women in tech and marketing. Hi, Melanie. Can you describe Exo Investing in a few words? We are helping businesses digitise their financial services offerings. You’re swapping suits for algorithms. Tell us a bit about how (and why) you’re harnessing AI. We have a technology partner called ETS, who are an asset management firm based in Madrid. ETS were fintech before fintech existed. They’ve been using quantitative approaches to financial management for years and have always gone down the data scientist route rather than the fund manager route, and were using this tech to build tailor-made portfolios for institutions and high net worth individuals. Our CEO was working there as a Product Manager and had the lightbulb moment of ‘What if we can bring this technology to the everyday investor?’, and that’s really where our retail proposition came from. We see ourselves more as the ‘tech’ in fintech, so rather than being a finance-first company, we’re tech first. That’s why we don’t have fund managers or investment committees. Our philosophy is around reducing risk when it comes to investing and for us data and AI is the optimal way to do that, plus it means you can remove human biases from the equation. When markets drop a machine can keep it’s cool a lot better than a human! It also means that we can manage our portfolios every single day on an individual basis, which just isn’t possible at scale when you have individual fund managers. With your business model being very much AI, how did Exo start out with presumably no data? Luckily we didn’t have to go from zero because of our partnership with ETS. They were doing this for 30 years and had reams and reams of data and learnings, so we harnessed that in order to power our algorithms. We didn’t have to build it for a year in a garage and hope that it worked, this tech has been honed and improved for decades. We’ve seen a huge explosion of products and services in fintech since the introduction of Open Banking. I’m all for this and have already seen the benefits across my entire financial life. But for those wary and unsure about the likes of PSD2 and AI, what do you say to them? It’s a very valid point. 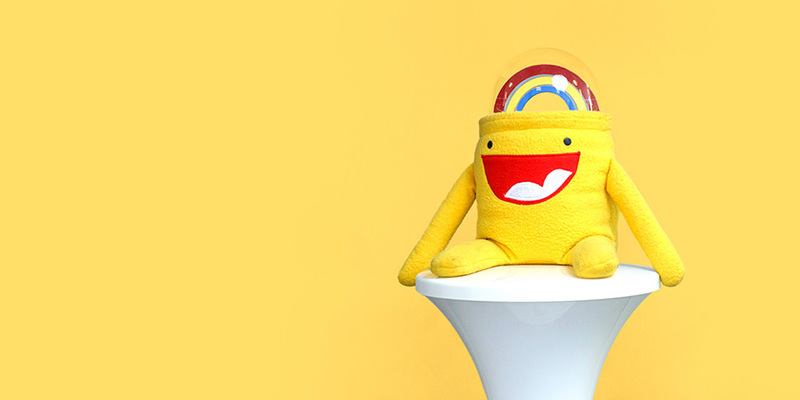 When we were launching, we had a lot of people ask us “What about people? Are you trying to take that away?” I don’t think there’s going to be a moment when we don’t need people anymore. I think human interaction is really important. 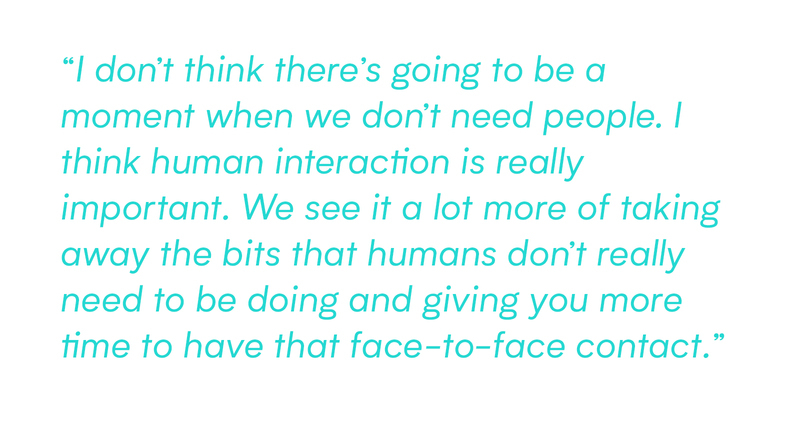 We see it a lot more of taking away the bits that humans don’t really need to be doing and giving you more time to have that face-to-face contact. We are launching our B2B proposition at the moment and we’ve split that in to a few different pieces. Firstly, we have the API, where you can pick and choose whatever you want. The second option is a fully boxed robo proposition that you can just add on to your services. And the third is an advisor hybrid. If you have wealth managers or you’re an investment advisor, we’ve automated the KYC and the on-boarding, reporting, billing and overall analysis so you don’t need to spend time on any of that administration. So let’s not see it as replacing everything, but replacing the bits that don’t require intervention. On your LinkedIn you say that you didn’t always engage with investing. What was the point at which you became interested? Was it a particular piece of marketing or a particular product? I’ve been in financial services and marketing my whole career. Before I was here I worked at an insurtech startup, which was my first foray into the fintech world. I worked with somebody there who ended up at Exo, which is how I heard about them. I thought investing was interesting but also impenetrable. Before I joined, I tried to figure out how to get engaged in investing by taking a stock trading course. That was just so far at the other end of the spectrum and it completely overwhelmed me. I thought it seemed extremely complicated, I was asking myself what on earth I was doing, and It made me retreat further from investing. When I got the opportunity to come into a space where it’s about democratising access, making it simple, helping more people to invest, I could really believe in the mission. I started really engaging with it when I got this job, so investing has only been a part of my life for two years, but I’ve learned so much and I know that I’ve only skimmed the surface. Then I start to think about people outside of the industry who have no route in, and that motivates me even more to get the message out there and help people understand that you don’t need to be an investment manager to do these kind of things. You started out at Mindshare in 2012. How has content and marketing changed since then and over the last seven years? So much! I came into the industry doing digital displays and ads. That was my job day in day out at Mindshare, and American Express too. I’ve seen a massive shift from when everyone was excited about programmatic. “Yeah, we can target the people that we want, this is great!” I think we got to a point where we were basically targeting the entire of the internet. That was the possibly that it gave you. You can do dynamic messages and creative messaging, but it didn’t really change the way we were engaging with the customer. So making that shift from the corporate world to startups means that suddenly you don’t have millions of pounds to spend on programmatic advertising. And that really makes you think about what you’re trying to do. I’ve now spent the second half of my career really focused on non-traditional marketing, such as how important content is, how important networking is, and partnerships too. Being real and being honest. For me, advertising now falls to the back of my mind and it’s more about customer relationship, which might have been there before, but I think in large and traditional corporations, that’s a difficult place to get to. That shift is really easy to do in startups, but I’m interested to see how that comes into these more traditional environments over the next five years or so. So what is the key to great marketing for a tech company in 2019? Believing in the product. Honestly, I think it about it all day, every day. I have a very personal mission in that I want to get as many people, and women in particular, investing. That’s what drives me to think about them more than I think about the business as a whole. I think in an environment where everything is very fast-paced and things change often (we are pivoting on a weekly basis) there needs to be one thing that can ground you. If you don’t have that, I think it’s really hard to be able to grow a marketing department and engage with people. That leads us on quite nicely; it was International Women’s Day two weeks ago, and we read your blog on the great work that you’ve done so far for women in finance. What are you proud of in this industry? But also what can we do better? I’ve been doing this for two years or so now, and when I first started going to women in finance events, the level of understanding was low and there was little confidence. People were asking first stage saving questions like “Should I be putting money into an ISA”? I went to an event a few weeks ago, and one of the speakers on the panel said “Can everyone in the room raise their hand if you invest in stocks and shares.” Two thirds of the room put their hands up – all women. For me that’s progress. That’s incredible. I’m in a women in finance book club through Finimize. And there are lots of pockets like that – women networking, doing amazing things and becoming more confident about it. But in terms of what we can do better... I think it’s really easy to forget that we’re in a bubble sometimes. In fintech everyone knows each other, you know what the resources are, what the events are, and my concern is that outside of that it still might feel quite difficult to get involved in. So I still think there’s a massive opportunity for somebody to come in and start closing the ecosystem between saving and investing, and when that comes to women it’s talking in a different way. 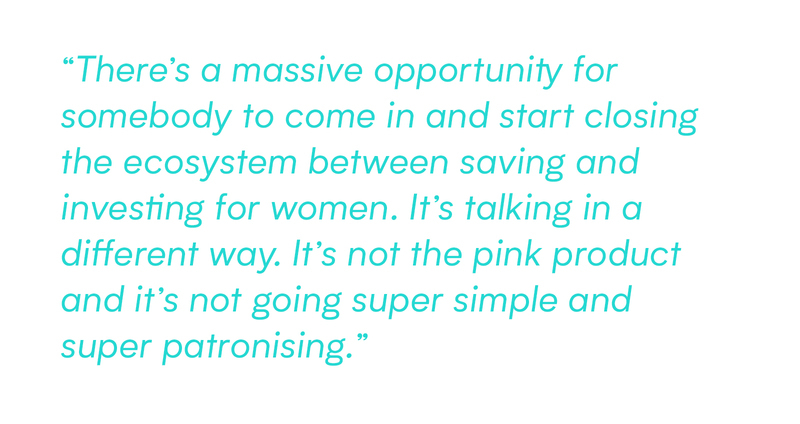 It’s not the pink product and it’s not going super simple and super patronising. 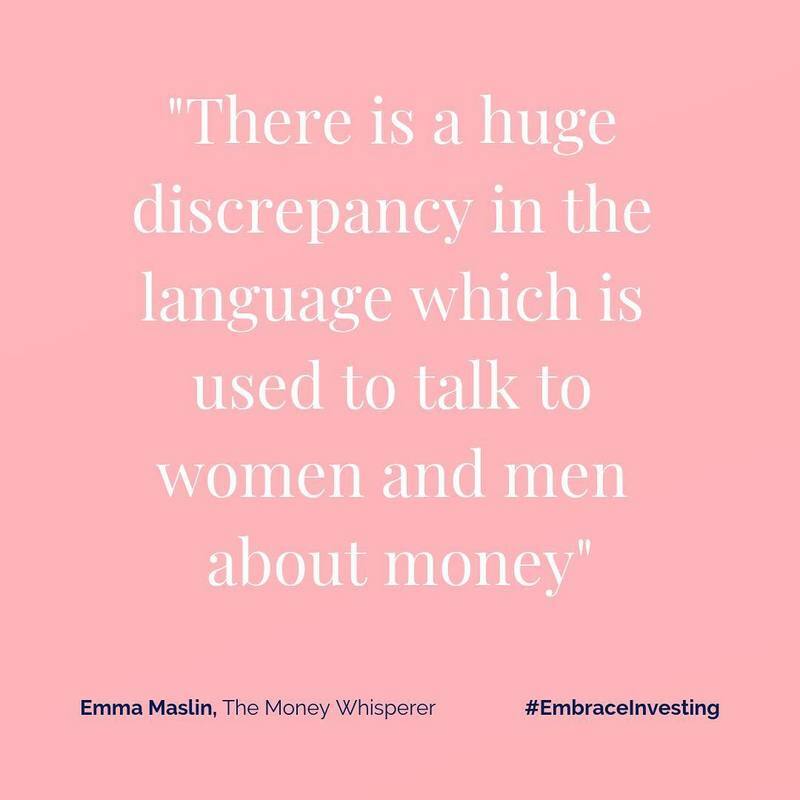 The language that we use in investing as an industry is still quite male dominated, so it’s just changing that and holding people’s hand more. Women in general are a lot more risk-averse than men. Men will take risks, and women strive to be perfect, which means if we don’t feel confident in what we are doing then it will stop us from doing it entirely. So that’s the bit that we as an industry need to do better, and it’s a big hurdle for women to get started. I’ve been suggesting to my wife that she try Monzo, Starling or any of the new digital banks. For me it was an overnight decision but for her it’s been a long process of research, reading articles, measuring up all of the pros and cons of leaving her bank. It makes me wonder if the marketing is quite right for both genders. Is gender agnostic content the right way to do it? Probably not – I think you need a bit of both. If you think about it in the context of getting women into finance and tech in general, the imbalance is what forces the issue and makes things change. Ellevest have done a great job in the US of creating a female-focused product that talks to them about longer life expectancy and taking time off for children, and how that impacts the way that you should be investing. I haven’t really seen that in the UK. When you do market research, the research will always come back and say your audience is significantly male and 35+ because that’s what it’s always been. So there’s a massive market opportunity and it’s not just a niche, it’s huge. When you do market research it doesn’t push you to believe that there’s a problem that needs fixing. You said that before every event, you question yourself; “‘Why on earth have I put myself in this situation?’ My head will be telling me I can’t possibly do it.” What’s your message to those out there for people who find themselves in this predicament? Just say yes! That’s what I do now. I tend not to overthink things anymore, and not allow myself to have it as a decision. If somebody asks me to do something and I think it’s a good thing to do, I just say yes before I know too much about it. I did it with your event too – I didn’t know what I was getting myself into but if it’s an opportunity to speak and get my/our message out there then I’ll take it. I think it’s also worth remembering that “Nobody wants you to fail”. You obviously you don't’ want to come off as stupid or say something wrong. But also I wouldn’t put myself in a position where I don’t know what I’m talking about. That’s where issues come. If you really believe in what you’re doing and know what you’re talking about then you’re going to be okay. And to wrap up, who is absolutely nailing their marketing right now? I really love Tink. They’re an API platform. Tech has always been seen as intricate and difficult to understand, but the fintech revolution has made tech seem really ‘cool’. I think that they’re one of the first brands to come along and make it accessible to customers and not just businesses. 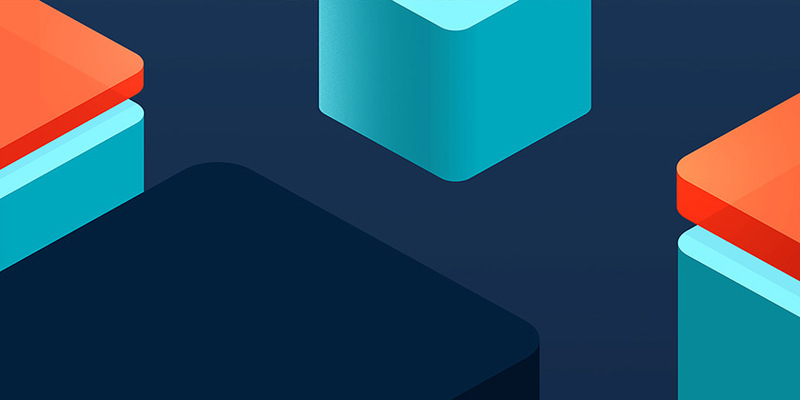 They have a very fresh fintech approach to APIs and Open Banking. I loved their recent piece about their UK launch. Sharing the story behind the product is something which I believe key to building an awesome brand. Keep an eye open for Tech Tales №8. We'll be chatting to the CMO of a wealth management company who harness AI to build a personalised investment experience for customers. Looking for a previous Tech Tales?